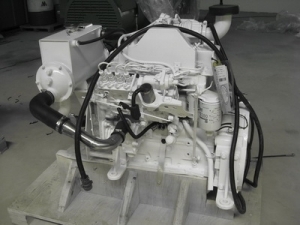 Deutz TD226B-3C marine engine is widely use for chinese local fishing boat and working boat. Wide power range The power range of TD226B-3c deutz marine engine is 35-150kW and its speed range is 1500-2500r/min. Low fuel consumption The minimum fuel consumption of deutz marine engine 226B is 198g/kW.h. Its fuel consumption curve is very flat. It has good economy under common working condition. Backed by the internationally advanced technology, 226B deutz marine engine is superior to the home-made engine in terms of components design and the selection of raw materials. The engine components will go through harsh inspection to ensure a high reliability. High performance engine monitoring meter can effectively guarantee the reliable operation of the engine. for working in fishing boat or transport ship.